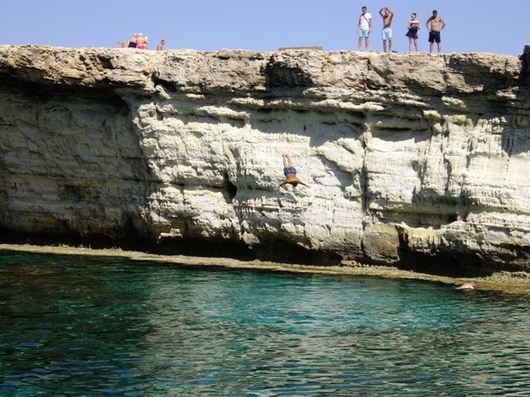 Cliff jumping is a popular thing to do in Ayia Napa with thrill seekers jumping from the Ayia Napa sea caves throughout the summer. 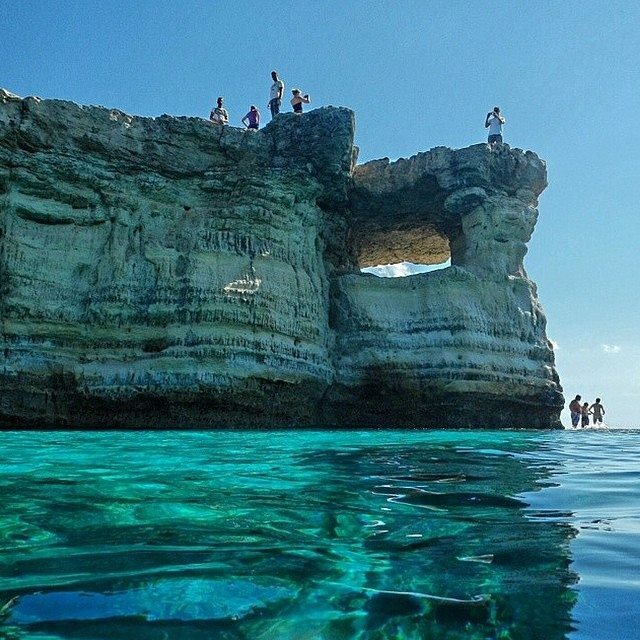 The cliffs are around 10 metres high with a drop into crystal clear water with excellent visibility. There are numerous submerged rocks so this jump is not for the faint hearted and needs to be very well judged to avoid serious injury. There are spectacular views of the Mediterranean sea from the cliffs and the sea caves themselves are stunning whether viewed from above or from sea level. The area that is popular with cliff divers is called the palace caves because of it's elegant structure. ​There are caves here which stretch for 80 metres, both submerged and semi submerged making some of them accessible to divers and snorkelers. At low tide it is possible to swim or even walk into some of the caves to explore. There is also lot of sealife in this area and it is definitely worth spending some time here swimming, cliff jumping or just relaxing and enjoying the view. 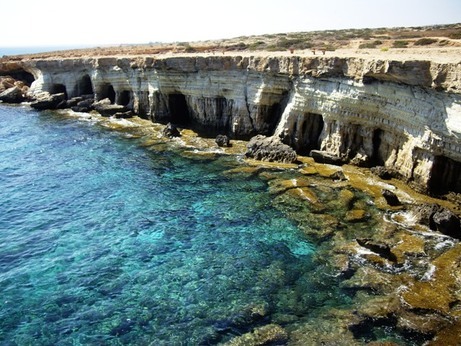 The sea caves are just at the eastern edge of Ayia Napa towards the Cape Greco national park. They are reached by a dirt track from the Cape Greco road.